Flat roofs are a feature of many commercial buildings. They allow a convenient location for the installation of HVAC components. They also make roof and building repairs a much less daunting task. Yet like all roofing styles, flat roofs are subject to certain problems as time goes on. 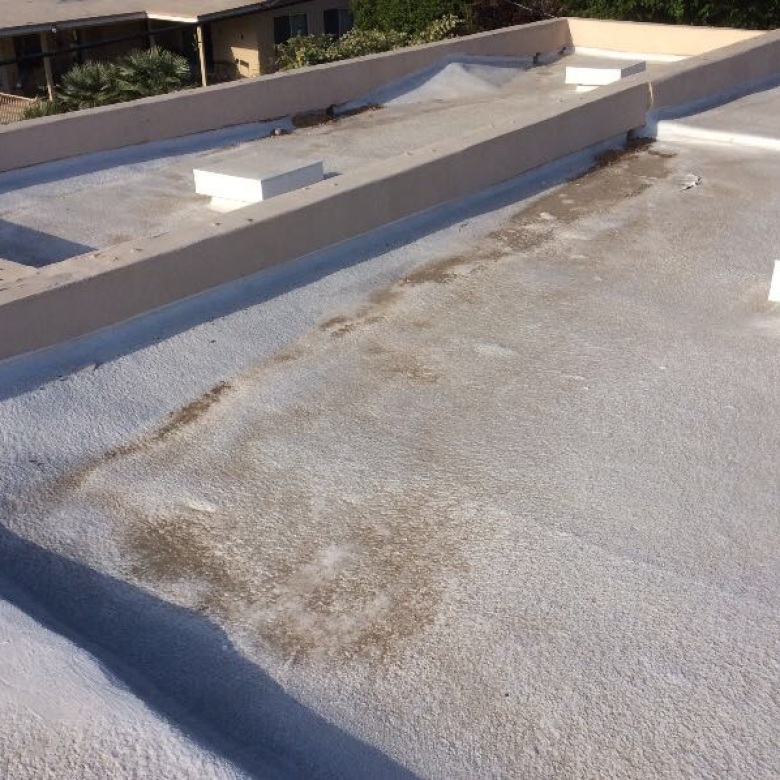 Flat roof leaks are among the most common and the most undesirable. 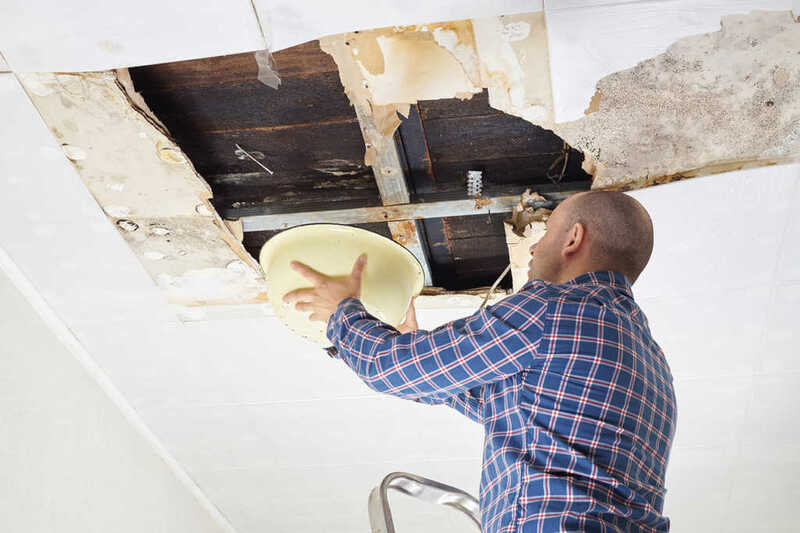 If you own a commercial property that has a flat roof and would like to educate yourself about the threat of roof leaks then read on. 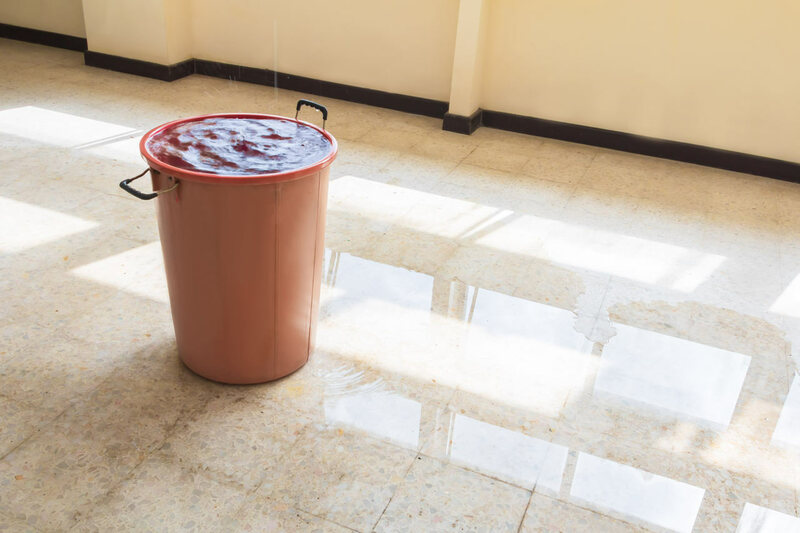 This article will discuss three of the most common causes of flat commercial roof leaks. 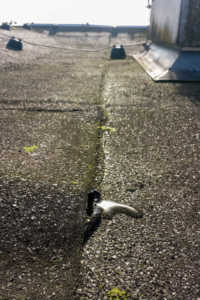 Ponding represents perhaps the single greatest threat facing a flat roof. As defined by the National Roofing Contractors Association, ponding is characterized as any water that remains on the roof for longer than 48 hours following precipitation. Ideally, the roof should be designed with a slight slope. This allows the water to easily find its way to the drain points. Yet even flat roofs that are well designed can find themselves struggling with ponding down the line. The longer water is allowed to remain on your roof, the greater the chances that it will lead to damaging leaks. It is important to monitor your roof on a regular basis for any signs of standing water. Ponding commonly occurs around roofing drains that have become excessively choked with debris. Likewise, other parts of the drainage system could become the culprit. These might include gutters, downspouts, and wall scuppers which can lead to ponding if they are not functioning correctly. Also, be aware that ponding is more likely to occur around large rooftop units such as air conditioners and water tanks. The weight of such structures tends to deflect the structure of the underlying roofing supports. This can lead to the formation of a ponding area. 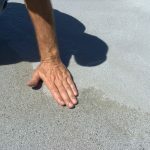 Be aware that, even if it has not yet led to a leak, ponding represents a significant roofing problem. That’s because the additional weight of the water will only make the problem worse as time goes on. As long as the issue is still minor, roof leveling compounds can help to restore the flatness necessary for proper drainage. More serious instances of ponding may require changes to the underlying roof. Once upon a time, most flat roofs were composed of what is known as built-up roofing. This style of roof involves the application of multiple layers of materials. These layers can include roofing felt, asphalt tar, and gravel. While effective, built up roofing is laborious and time-consuming to install. 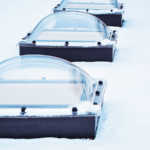 These days, so-called roofing membranes are an increasingly popular choice. These consist of a thin, single-ply membrane, generally made of durable rubber. The simplicity of such membranes makes them both less expensive and easier to install. Roofing membranes offer a highly effective form of protection. Yet like any roofing system, membranes are subject to damage as time goes on. Splits, cracks, blisters, and punctures are all common problems. When a membrane is compromised it allows water to access the vulnerable insulation that lies beneath the membrane. As this insulation becomes increasingly waterlogged, soon more insidious forms of leaks will develop. For that reason, it is vital that you have your roofing membrane inspected for signs of damage on a regular basis. Flat roofs have one thing in common with sloped shingle roofs: they are especially vulnerable to leaks anywhere a structure rises up through the surface of the roof. Such structures include plumbing vents, pipes, gas lines, and other building elements. To protect these features against leaks, a variety of different tactics are used. Some might include the installation of flashing, rain collars, field wraps, and pipe boots. Nonetheless, water still finds ways to work past these defenses. Thus no roofing inspection should go without a thorough check of all roof penetrating structures. 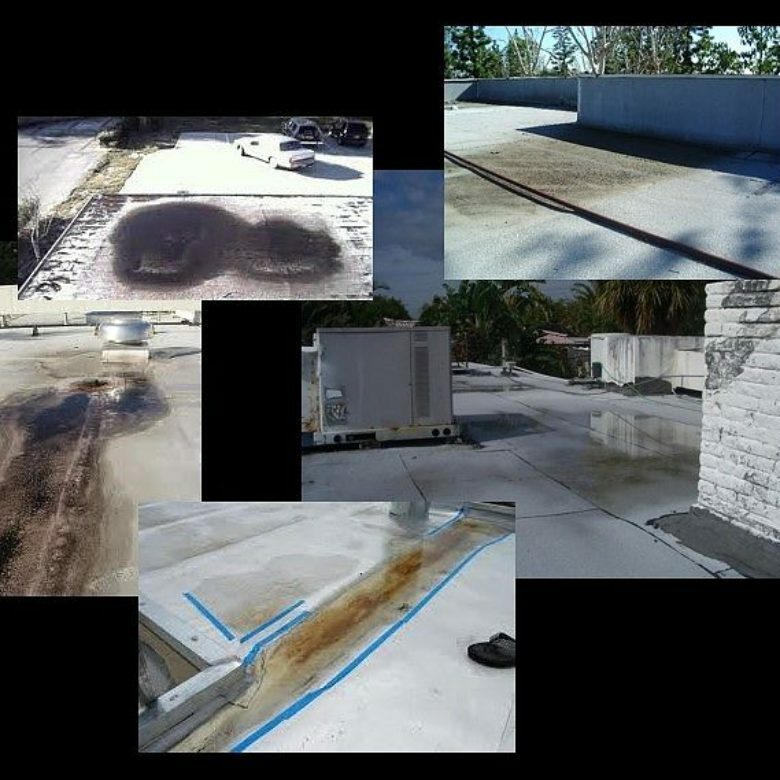 To learn more about preventing leaks from wreaking havoc in your commercial property and how to eliminate ponding water on a flat roof, feel free to contact RoofSlope.